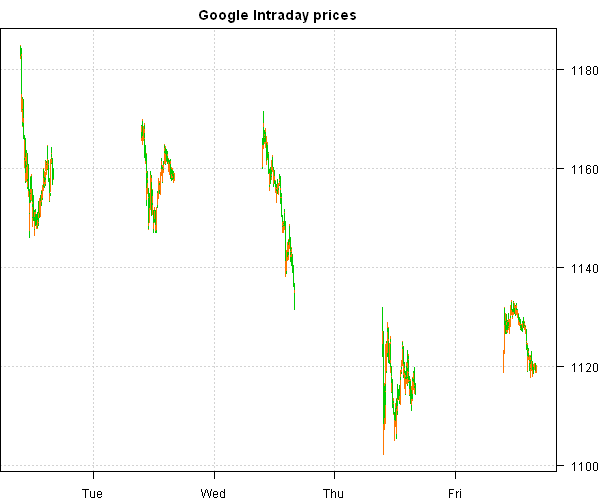 I just reviewed your code and wanted to inform you about a minor mistake in the getSymbol.intraday.google() function. For some reason the prices obtained via http://www.google.com/finance/getprices come with the close price first. You would have to switch them to get them in common OHLC order.